What Does Your Flavor Preference Reveal About You? Think it. Mix it. Vape it. Don’t let their laugh lines or salt-and-pepper hair fool you. If you see an older adult vaping, chances are there’s a candy- or dessert-flavored vape juice in the tank. In the first study of its kind, we surveyed 1,200 adults who vape to find out why they started vaping and how they feel about flavored vape juices. The results revealed that 96% of Americans who vape use flavored liquids at least some of the time. And contrary to assertions by some political figures, “fun” flavors appeal to adults of all ages and may play an important role in reducing cigarette smoking. Our study included respondents from all 50 states plus the District of Columbia. They were 57.5% male and 42.5% female, and ranged in age from 18 to 70 with significant participation by Baby Boomers and Generation Xers. This diverse group represented a wide swath of American society and gave us important insights into why and how people vape. Read on to find out what we learned. Since the vaping phenomenon began in the mid-2000s, rates of traditional cigarette smoking have continued to decline, reaching the current all-time low of 15 percent. Many former smokers credit vaping with helping them to finally kick their deadly cigarette habit. When we asked our survey respondents why they started vaping, the most common response was “to quit smoking.” Almost two-thirds said their primary motivation was quitting or cutting back their use of combustible tobacco products. That fits with a recent study that found 6.6 million smokers could gain 86.7 million years of life if they switch to vaping. Vaping is particularly valuable to Generation Xers and Baby Boomers as a harm-reduction measure. In our study, Americans aged 35 to 51 were most likely to cite quitting smoking as their main motivation for vaping, and with good reason. A recent British study found that would-be quitters who vape are 60% more likely to succeed than those who go cold-turkey or use nicotine-replacement patches or gum. The overwhelming majority of people who vape consider it a healthier alternative to smoking cigarettes. When we broke it down by generation, the number was even higher among Baby Boomers and Generation Xers. By the time cigarette smokers reach middle age, they are more likely to have tried and failed to quit and have experienced the negative effects of combustible cigarette use including bronchitis, emphysema, heart disease, and osteoporosis. That might be why older Americans who vape were most likely describe vaping as a healthier alternative to smoking, with 93.6% holding that view. Much of the debate over e-cigs and vaping devices focuses on nicotine consumption. However, many vapers choose e-liquids with extremely low levels of nicotine and more than a quarter of Americans who vape don’t consume any nicotine at all. To understand nicotine choices better, we examined our survey respondents’ nicotine preferences based on their reasons for vaping. People who are trying to quit or cut back on smoking were most likely to use vape juice with nicotine. People who started vaping for social reasons or because they enjoy the flavor were much less likely to choose juices with nicotine. It’s hard to find a vaper who doesn’t enjoy flavored e-juices. Our survey found that the overwhelming majority of Americans who vape use flavored liquids at least some of the time. That might be in part because vape juices are so easy to customize with food-grade ingredients.  VaporFi alone offers more than 30,000 possible flavor combinations. The appeal of flavored juices is not limited by generation. Among Baby Boomers, 71.7% said they use flavored juices “always” or “most of the time.” That figure was 75.6% for Generation Xers and 73.6% for Millennials. We presented our survey takers with a list of 60 common flavors and asked them to identify their 3 favorites. Despite the large number of options, certain flavors had broad appeal.The top flavor in nearly every part of the country was strawberry, followed by vanilla, cherry, and apple. To get a look at how vapers’ favorites vary in different parts of the country, we calculated the Top 10 flavors for each region. After strawberry, the order of the favorites changed slightly as we moved from one coast to the other. The map below shows juices that are especially popular in different regions of the U.S.
Flavored juices are important to the vaping community, however, some federal officials have proposed regulations that would ban or severely restrict all flavors besides tobacco and menthol. We wanted to know what effect such drastic measures would have on Americans who vape, so we asked our survey respondents what they would do if favored vape juices weren’t available. A surprising result of our study was that many Americans would figure out alternative ways to get flavored juices, including ordering them from other countries or making their own. More than a third of our respondents said they’d keep buying flavored juices online from non-U.S. sources. Some respondents said they’d vape less, but when we followed up with a question about cigarette use, it became clear that a large portion of the “vape less” group would go back to smoking. When we asked how a ban on flavored vape juices would affect their use of cigarettes, more than a quarter of our respondents said restricting access to flavored liquids would lead them to smoke more. This is how our survey respondents answered when we asked what effect a ban on flavored vape juices would have on their smoking habits. Fortunately, for now, vapers have nearly unlimited flavors to choose from and as we discovered, 96% of Americans who vape take advantage of them at least some of the time. America’s favorite flavors are clear and consistent across most major demographic groups. We love Strawberry, Vanilla, Cherry, Apple, and Apple pie. But lower down the list, there are some interesting differences in people’s preferences. Can we really predict your political affiliation, favorite movie genre, or exercise habits by your favorite vape juice flavor? Maybe... There were some interesting patterns when we analyzed people’s preferences. The following are some statistically significant differences that we found between different groups of people. Women are significantly more likely to choose Pumpkin Pie, Peach vape juices than men. Men are about twice as likely to choose Belgian Waffle, Sour Candy, and Energy Drink flavors as women. People who identify as Republicans are significantly more likely to choose Gummy Bear, Sour Candy, and Watermelon. People who consider themselves Democrats are significantly more likely to choose Caramel/Toffee and Birthday Cake. People who work out every day are significantly more likely to choose Mango flavored juices. People who rarely or never work out are significantly more likely to choose Caramel/Toffee and Gummy Bear. Can where you spend time online predict what vape juices you’ll like most? We asked people who vape what their favorite social media sites are, and what flavors they like best. Here are some of the interesting differences we found. Facebook fans are most likely to choose Chocolate and Caramel/Toffee vape juices. Reddit users are the most likely to chose Tropical Blend and Coffee flavors. Twitter afficionados are most likely to go for Chocolate Mint. And Instagram addicts are most likely to vape Glazed Donut and Grape juices. Do comedy and dessert go together? Maybe. People whose favorite movie genre is comedy were most likely to choose Cheesecake and Strawberry shortcake vape juices. Horror fans were more likely to favor Cotton Candy juice than anyone else. Action lovers were the most keen on Bubble gum. Documentary buffs leaned toward Glazed donut. Sci Fi and Fantasy fans gave Chocolate Mint high marks, and Drama lovers were more likely to choose Peach than anyone else. Jazz lovers have a reputation for being mellow and smooth. It turns out their vape juice preferences are the same. People who love jazz were significantly more likely to favor Coffee, Chocolate, Cinnamon, and Peanut butter juices than fans of other music genres. Rap fans were more likely to choose Banana, Bubble gum, and Glazed donut. The chart below shows other surprising correlations. Whether you like your vape juice sweet, tangy, or smooth, it’s clear that flavors are an essential part of the vaping experience. It’s equally clear that vaping is an important tool for many Americans who want to quit or cut back on smoking. CIf federal regulations are passed that restrict access to flavored vape juices, it could have a detrimental effect on the health of millions of Americans. Hopefully, federal officials will take the time to talk to people who vape – particularly older Americans – and hear what they have to say before taking any action related to flavored e-juices. This study was based on an online survey of 1,206 U.S. residents. Respondents were 57.5% male and 42.5% female. They came from all 50 states plus the District of Columbia. Regionally, 355 respondents were from the South, 264 from the Northeast, 245 from the Midwest, 191 from the West, and 147 from the Southwest. The sample included 698 Millennials (age 18-34), 342 Generation Xers (age 35-51), and 166 Baby Boomers (age 52-70). About a third were single (33.5%), 37% were married, and 24.9% were in relationships. Politically, 44% were Democrats, 20% Republicans, and 30% Independents. You may reproduce any of the graphics above freely for noncommercial purposes. We just ask that you please attribute VaporFi fairly in your coverage and provide a link to this page, so your audience can learn more about our study and its methodology.